That free iPad offer isn’t the only Cyber Monday deal that T-Mobile has available. T-Mobile is taking $75 off the price of the Moto Z2 Force for Cyber Monday. With this instant discount, you can score the Motorola smartphone for $300 total or $0 down and $12.50 per month for 24 months. T-Mo says that this discount will only be available today, November 27th. You can get the deal by buying from T-Mobile’s website or by calling 1-877-387-4324. But wait, there’s more! 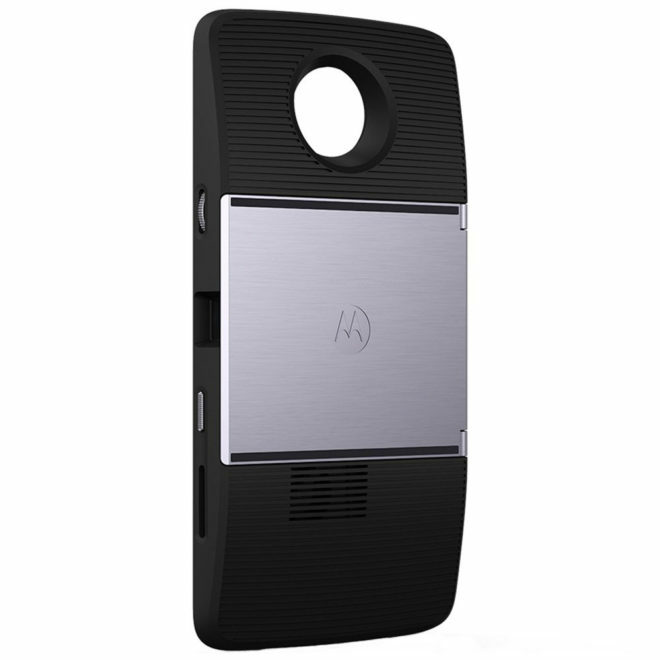 Motorola is running its own promotion that’ll get you a free Moto Insta-Share Projector Moto Mod with the purchase of a Moto Z2 Force. You’ll need to buy the Moto Mod for $299.99 and then go to Motorola’s redemption site and enter info like your name and address, a copy of your purchase receipt, and a picture of the white packing label on the box with the IMEI/ESN (serial number) shown. Once you follow all of those steps, Motorola will send you a gift card to cover the cost of the Moto Insta-Share Projector. It’s also worth noting that this Moto Insta-Share Projector promo applies to Moto Z2 Force purchases made between November 17, 2017 and December 31, 2017. So if you bought a Moto Z2 Force in the past 10 days, you qualify. This is a great deal, a VERY good deal. The phone has always been a great option, and a solid phone. I just couldn’t do the high price tag, but now it’s a go. Major win for buyers. Have to agree. I was using the moto x pure until the battery would randomly die at 30%. Right after that the charging cable would only charge if positioned a certain way and it was any cord the same out come. With that and the fiasco of not getting the update to 7.0 for a year I swore I’d never buy another moto anything. But, I bought the z2. That and the essential phone are the cheapest option to get a snapdragon 835. $300 is a no brained to me. Hopefully this phone ends up better. I can’t tell you how I’ve missed the turning the phone to get my camera app to open lol. I would jump on this if I didn’t buy a new V20 on eBay for my wife for $265. Great deal… but it’s amazing how the price dropped from $750 in early August to $300 (nearly 4-months) later. But I’ve already said in July that this phone should have been $500 from the beginning. Poor marketing/sales decision by Motorola… err… Lenovo. I’m sorry I missed out on it. Me too sir, I am planning on waiting until December 25th for another awesome sale. If it doesn’t happen… probably will have to consider the yellow. Or maybe a OnePlus 5T. 2-year contract was hiding the $20/month payback fee that you would continue to pay even if your 24-months was completed. It was a total scam if you didn’t buy a new phone on the 25th month. Cost wise, it was the same. $200 down + $20 x 24 months = $680 for the device. So technically speaking, these phones have been expensive to begin with, but now $800 and $1000 flagship phones are becoming the norm, I’m happy that OnePlus 5T exists and also okay with taking a 1-year old phone and paying 50% or less of what it was at launch. I agree with you on the party buying a 1 year old phone for 50% off. Believe it or not, but your grandfathered planned always had the (approximately) $20 built-it. Which means that if you stopped renewing your contract, the bill would not see a $20 drop, but continue being the same per month. When the phones were “free” under contract, they were not “free”, but rather subsidized in your monthly bill. The great thing that T-Mobile did is separate the service and phone costs. Your service plan is one cost while your phone cost is another for a certain period. Now you may have a great grandfather plan which the costs per line is at or less than it costs now. I had that plan as well for many years until I jumped on the Simple Choice plan and stayed there since. We’ve got 4-lines for $120 + fees/taxes. Reality is that it’s now 7-lines + fees/taxes (3 of which are free due to T-Mobile promotions). My net cost is about $156/month here in Chicago. I have 9 lines (2 are free) and I am paying $152 and that includes my taxes too. Even at 7 lines at $152 a month, I don’t think the was$20/ per line baked in. I used to upgrade all 7 lines every 1.5 years and get free phones. If it’s like you are saying and I had a $20 baked in for each line then that’s would be$140 for my account. How can it be when I am paying out the door including taxes $152? I have been with T-Mobile for over 13 years and I am telling you they used to give… Yes give these phones to keep customers. It was later when they jacked up the plan prices to bake in a fee that would cover the phone discounts. I reneger I got 7 Galaxy note 2s like a month after they came out all for free and my bill back then was around$148 back then which included the taxes. No way they were charging me extra for the phones. You probably had a very early data plan from T-Mobile that you maintained since. Indeed, you have a great plan with taxes. I have been using the z2 Force since release and it is awesome. This coming from someone who had the last 8 generations of Samsung S models. the projector mod is no gimmick either. It works great. 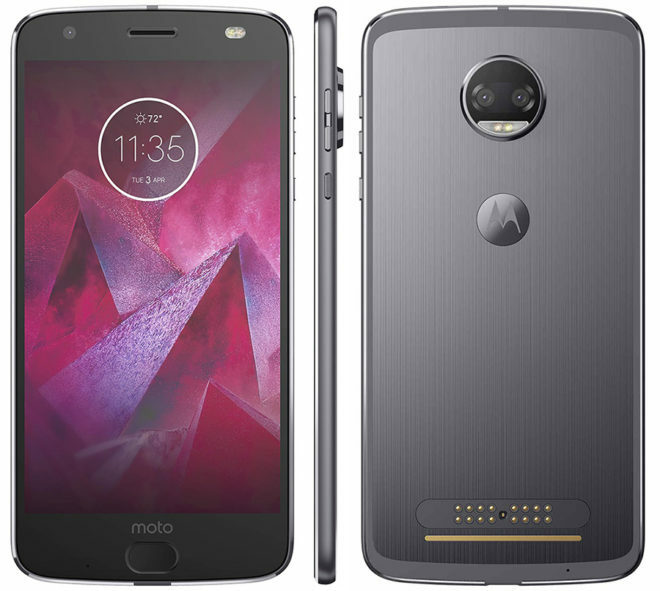 Actually as a recovering Samsung user myself I find Moto’s take on Android with just very minor modifications to be refreshing. Absolutely. Its amazing how well clean android can run. Samsung needs to clean up their phones and stop making them to break before i go back.